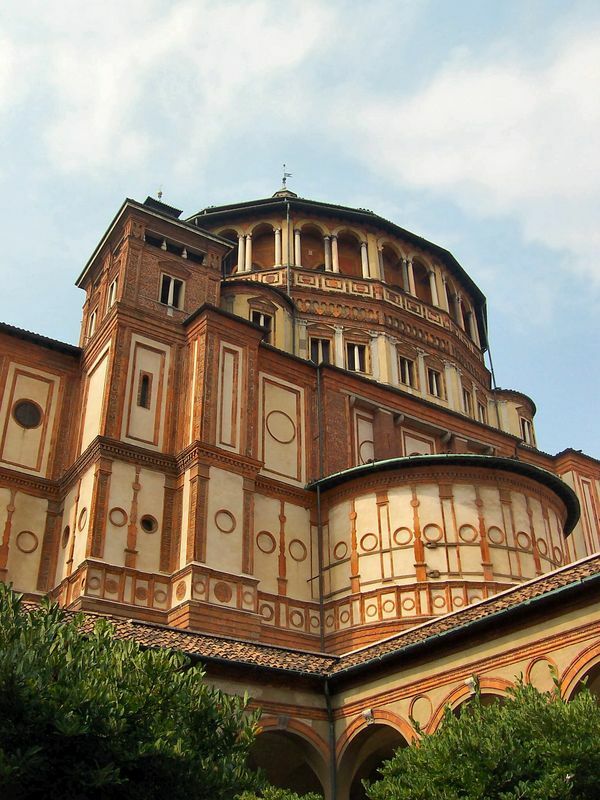 The Last Supp&egravzzz;r was commissioned by Duke Lodovico Sforza, Leonardo's patron, for the dining hall (refectory) of the convent of Santa Maria delle Grazie, in Milan. It took the artist three years to complete and much of that time was spent roaming the streets of Milan looking for models for the figures of Christ and Judas. 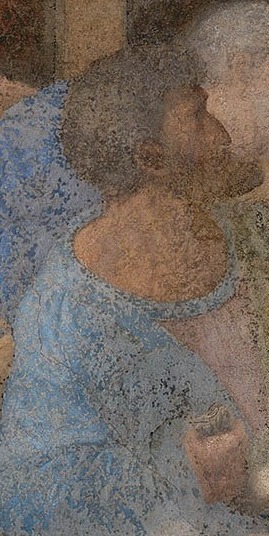 The fresco technique of painting directly onto walls was common but Leonardo was not adequately trained and he chose poor materials to carry out this work, and this, combined with the convent's humid conditions, meant that The Last Supper began to deteriorate during Leonardo's lifetime. The artwork was also caught up in the bombing of the refectory during the Second World War, but it had a lucky escape, with some carefully positioned sandbags saving it from destruction. The theme of The Last Supper was a traditional one for refectories and portrayed Jesus gathering his disciples to wash their feet (symbolizing their equality in the eyes of the Lord) and announcing that one of them would soon betray him. 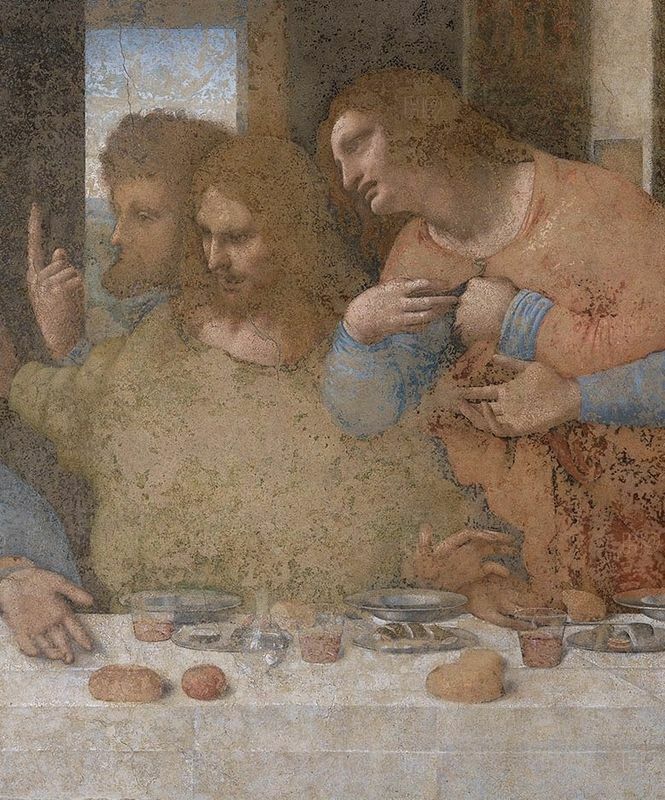 Like other versions from this period, Leonardo places the disciples on one side of the table, facing the viewer. However, unlike earlier works which showed Judas as separate from the other attendees, or without a halo, Leonardo depicted Judas resting in the shadows. The Last Supper makes several references to the number three, representing the Christian belief in the Holy Trinity. The disciples are clustered in groups of three; there are three windows behind Jesus, and his face is a triangular shape. The deterioration of this piece means that other references may have been lost over time. Leonardo's version of The Last Supper draws inspiration from each of the four Gospels and represents the moment immediately after Christ has informed his disciples that one of them will betray him before sunrise. The artist is successful in conveying their feelings of horror, anger and shock and he displays very human emotions. Although a common subject in art at the time, Leonardo's painting was the first to illustrate real people acting as such. 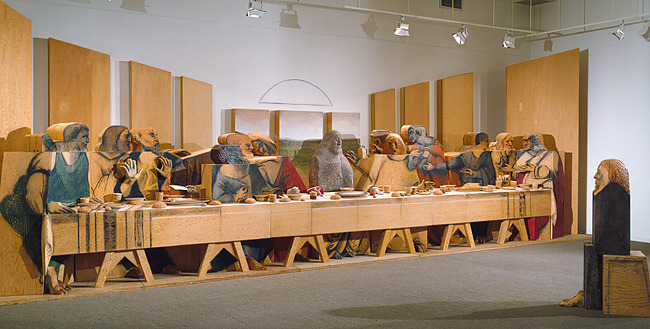 Another notable aspect of The Last Supper is its technical perspective. Every element of the image draws the viewer's attention to the foreground and Christ's head. 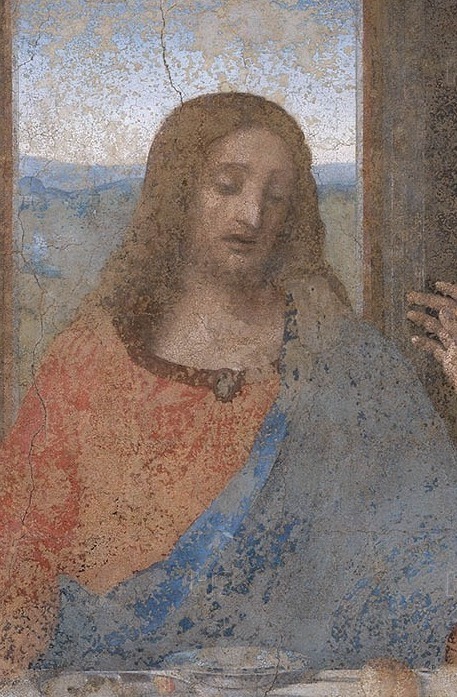 The window directly behind him acts as a halo and Judas is the only figure who leans away from Christ and is painted in shadow. Some critics argue that this is the greatest example of one point perspective ever created. Leonardo was clever in his use of perspective because he allowed the observer to see the table top, even though it shouldn't be possible. Furthermore, there are a number of people crowded round the table and not enough seats. The angles and lighting draw attention to the center of the composition and the figure of Jesus, whose head is positioned at the vanishing point, where all of the perspective lines meet. 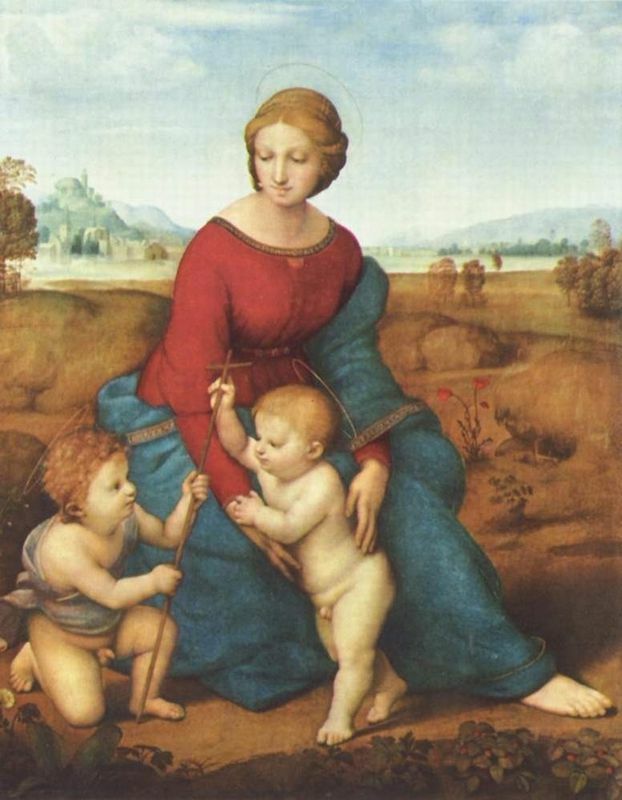 Not wanting to limit the amount of time he could spend on this painting, Leonardo created it using new pigments on the dry wall rather than mixing them with wet plaster. This means that the work cannot be classified as a true fresco and sadly, due to this poor choice of materials, it began to deteriorate just a few years after its completion. Attempts to restore The Last Supper have often worsened rather than enhanced the artwork. However, a full restoration has been carried out and took twenty years to finish - five times longer than Leonardo took to complete the work. Today it is thought that little of the original fresco actually remains. Two early copies of The Last Supper are believed to exist, presumably the work of Leonardo's assistant. 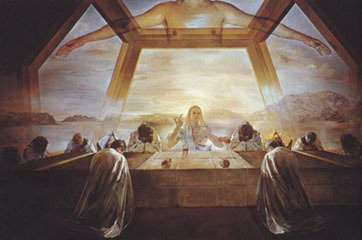 In this version Jesus is depicted as blonde and fresh faced, pointing upward to an ethereal body while the apostles are gathered around the table with their heads bowed so that none are identifiable. Escobar's version is a life-sized, three-dimensional sculpture using painted and drawn wood, plywood, brownstone, plaster and aluminum. The work too two years to complete. 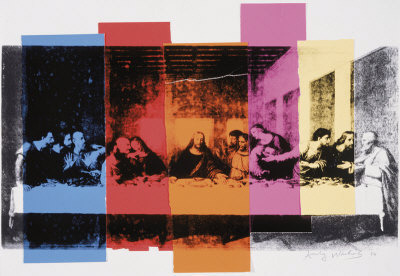 In 1986 Warhol was commissioned to produce a series of paintings based on The Last Supper and this turned out to be his last series before he died. White replaces da Vinci's 13 men with similar-featured women from around the world, with an aboriginal woman occupying the position of Christ. Leonardo da Vinci's The Last Supper is a painting that helped establish his fame as a painter and it remains one of his most valued works and one of the most replicated artworks in the world. Created during the middle years of his career, this fresco perfectly illustrates his belief that poses, gestures and facial expressions should mirror the actions of the soul and mind. 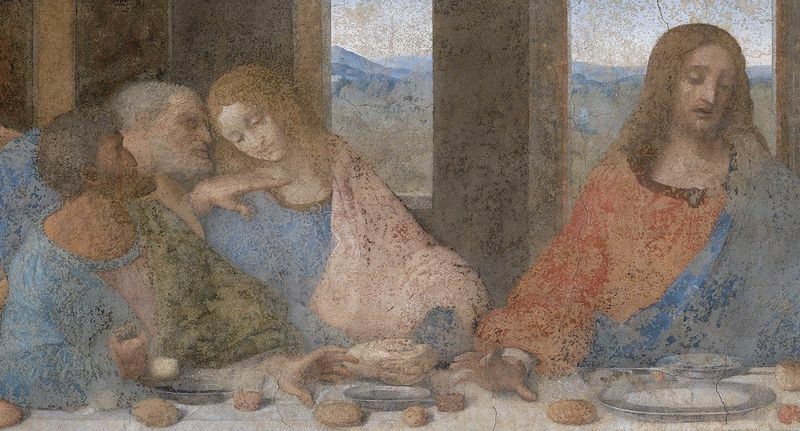 Despite Leonardo's concerns over painting the faces of his figures, The Last Supper was immediately hailed a stunning success of design and detail. 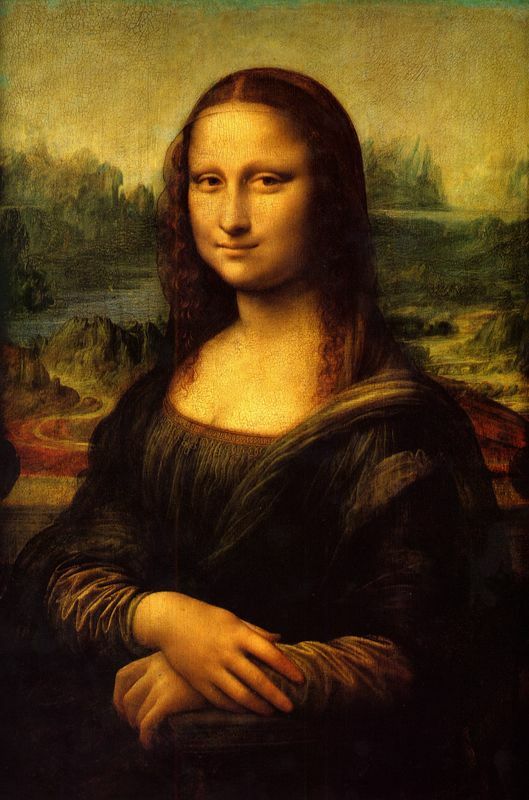 Works such as The Last Supper, Mona Lisa and Vitruvian Man are among the most esteemed in the history of art, rivaled only by the masterpieces of Michelangelo. If it was not for Leonardo's inability to complete his paintings he may have added more works to his oeuvre but this, together with his experimentation with new techniques, means that only around fifteen of his works exist today. Leonardo's mission was to find a universal language for painting and with perspective and other realistic elements he aimed to design accurate renditions of life. 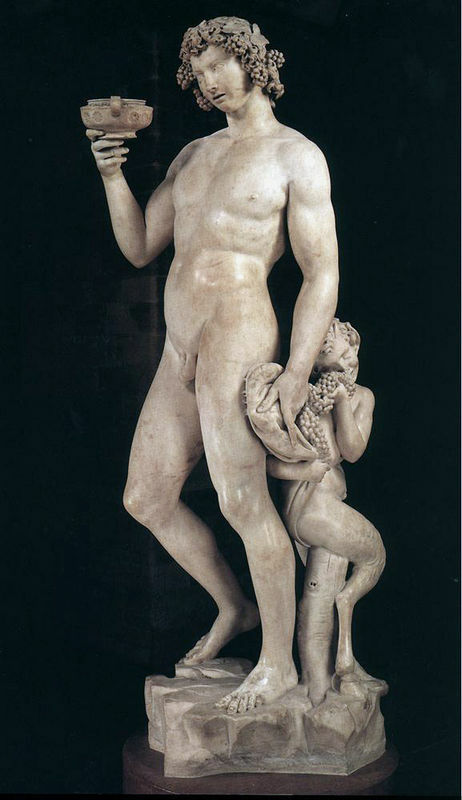 This was extremely bold in a culture previously dominated by highly symbolic and strange religious artworks, and this focus on objectivity became the standard for emerging painters in the 16th century.